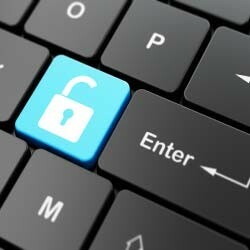 High-security measures, like automatic end-to-end encryption, are practically mandatory in every app that handles private data of its users. And there’s nothing more private than real-time location data. While we can find lots of different cases showing how location sharing apps can be real security risks, we can't find an app that features high-level security measures. They offer low-level security, like privately shared maps or the option to set a time limit on sharing your location, but things like two-step verification or end-to-end encryption are often missing in these apps. Apple’s Find My Friends utilizes iCloud’s security measures and is probably the most secure at the moment, but almost all other apps have questionable security. Although it isn’t strictly a location sharing app, WhatsApp shows how proper security measures should be implemented. The app offers end-to-end encryption along with two-step verification providing adequate security for its users. This feature is standard in most location sharing apps, but many make it too hard to find or not intuitive. It is significant because all of us have the right to protect our privacy, so when an app doesn’t offer an option to turn off location sharing, when it automatically shares user’s location as soon as they enter the app, or when it doesn’t provide users option to pick for how long they want to share their location, it isn’t a quality location sharing app. 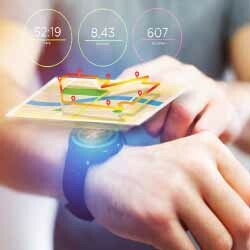 Not only that constant location sharing eats battery and resources of mobile devices (especially battery since it uses GPS, a huge battery hog) it also strips users of their privacy because it doesn’t let them have a choice between being followed continuously and being invisible, if only for a fraction of time. For instance, if your mobile device runs on low battery, it is better just to turn off location sharing than to risk your battery running out of juice. Or when your kids are at their friend's home for an extended period of time, you wouldn’t want for them to show you their location at an ongoing rapid rate. It is enough for them to check-in once they arrive, and to set a location sharing route to the house once they head home. And this is also true for family location sharing apps. Yes, parents want to know where their children are at all times, they want to feel safe and don’t worry about their kids’ whereabouts, but even children have the right to be invisible if they want to. But, there’s a quick and handy way for family members to know where their loved ones are; they should just use pings or check-ins. And now we come to the check-in option. It is a quick way to show where a person is and a great way for different family members to quickly send their location for others to see. It can be set to automatically trigger when a person arrives at specific destinations, or when a family member sends a location request. For instance, kids can set their school or their soccer practice field as one of those destinations, so parents can be immediately notified when their child arrives at school. And parents can set their workplace as one destination so their children can see when their parent leaves work and is heading home or to pick them up. 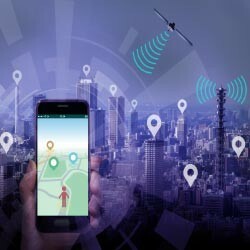 The option is popular among different location sharing apps (Glympse, Swarm, and Family Locator all have it), and it is great for conserving battery and other resources. Just choose locations you often visit – your house, workplace, school, best friend’s house, or coffee place you often visit and your family members will get a notification every time you visit one of these places. It is better than turning on location sharing without users’ knowledge or having location sharing always on. 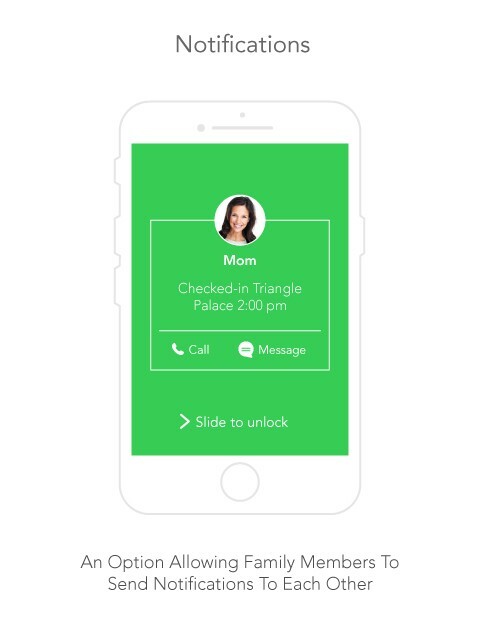 Quick check-ins are great, and they are important to have in any family location sharing app. But there are times when constant location tracking is needed. For instance, when a parent travels to home from work, or when kids are getting back to the home after hanging out with friends. For these situations, having an ability to set different routes can be a lifesaver. When a kid is back from school, or a parent is returning from work, the best thing they can do to let know their family members when they will arrive is to set custom routes. The feature does not only serve the purpose of showing exact arrival time, but it also gives parents a sense of security, as well as giving children info on when their parents will come home. And not only that, routes can serve other purposes. For instance, if your child is coming home from school and let you know, you can send a message telling her to pick up soda from the nearby store, or for children to tell their parents to buy them ice cream from their favorite place that’s near parent’s office. The possibilities are endless; children can notify parents to pick them up when they see their mom or dad is near their school while coming home from work, and parents can recommend a good pizza place once they see a child is on her way to the local shopping mall to hang out with friends. Setting custom routes is one of the best features in Family Locator. Families want to know when will they all arrive at home, so parents can cook dinner, or organize a movie night. Routes are also an irreplaceable feature when it comes to stress relief. It is so much better to know your kid is back from school, or that dad is coming back after a business trip. Along with custom routes, we have notifications. They are an excellent way to communicate with members of the family and to let them know if we are running late, or will come back sooner than expected. Notifications go perfectly along with custom routes. As we already mentioned, parents and kids can send messages to each other once they see a family member is en route to home. And it is better to do all of the work from inside the location sharing app than to switch from messaging to location sharing and back. Notifications can also play a more significant role. For instance, a parent can set automatic notification activated once their child reaches practice location. Instead of forgetting to pick them up, they will automatically be reminded to do it. And if one parent works close to their kid’s school, they can just set an automatic notification that activates once they are in the vicinity of the school. Never again will your child wait for hours (well, not for hours since they will call you after a while) because you forgot to pick them up. Having notifications in combination with check-ins is a perfect combination because it gives both children and parents a way to know the location of each other at all times, never again having to send messages, make calls, and worry about whereabouts of their loved ones. Having a family location-sharing app is excellent, but it can be a shame if that app doesn’t support web browsers. Yes, most of us have our phone nearby most of the time, but having an option to see where family members are from the comfort of our chair while working on the desk, or while browsing the web can be really handy. Instead of picking the phone every few minutes to check when your partner will come home from work, or from the gym, it is way better just to have an option of opening family locator in a browser tab and then just quickly check it out while using a computer. All major location sharing apps have this option (like Glympse, Google Maps, Find My Friends, and Family Locator), giving users a comfortable way to follow their loved ones’ location without the need of looking it up on the phone or a tablet. Web browser integration is important, not just in giving users more comfort while using the app, but also to show how the app can be used on every platform, not just on mobile devices. If your phone is charging and you are watching a show on Netflix, you surely won’t get up from your chair, go to the phone just to check the app. It’s easier just to switch tabs and check the location. Family location sharing apps can be of great help, and they become even better with the option of creating custom circles (groups) and adding friends. This way users can not only share location with their family but with other important people in their life. Not only does circle option widens potential usage scenarios for a family sharing app, but it also prevents users from installing another location sharing app that would just take space and resources. 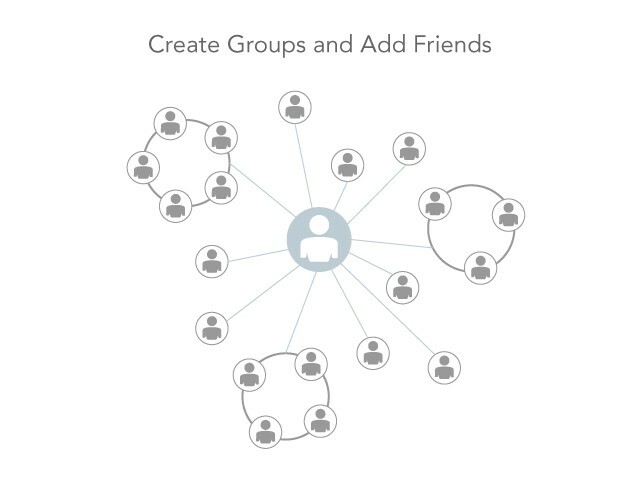 Users can create different circles containing different people. For instance, a user can have a family circle, close friends circle, a circle containing people they work with, and more. This way you can share location with your family, share location of a cool new bar you chill out at so with friends circle so they can find you and join you, and finally you can tell your boos you are running late to work and send them notification containing your location along with the live custom route. Users who work on a job that includes lots of travel can use their job circle to share location with co-workers and to coordinate their deliveries, or routes taking them to customers so their colleagues can know where they are. Circles feature can make an app much more useful, it can broaden usage scenarios, and can prevent users from installing other location sharing apps. Although we mentioned this a couple of times already, optimization is crucial, and it should be excellent. As smartphones get more and more powerful, their features grow with each new generation but the problem is that batteries stay relatively humble. And if you have a family location sharing app, you want for it to be humble on the battery and hardware. 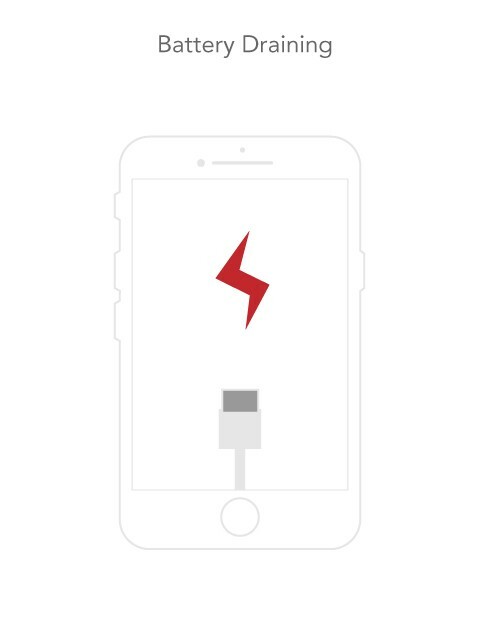 Some apps really know to drain power, making users quickly uninstall them because as much as we like to use a powerful and handy app, we like more for our battery to last longer. That’s why it is important for a location sharing app to offer check-in features as well as allowing for location sharing to be turned off. Also, if a person is stationary, an app can use the cellular network to fetch their location instead of GPS and conserve battery. As you can see, there are many important features family location sharing apps need to incorporate to offer the best possible experience for their users. The location sharing market is getting more and more crowded, and while most users are satisfied with basic location sharing features offered by Telegram and WhatsApp, some users want more. And when they want more, it is best to give them all important features so they can keep using the app instead of searching for alternatives because they want a couple of features not available on the app they are using. And with family location sharing apps most of the features mentioned in this article are practically mandatory. A family location sharing app has to offer a high level of security, an ability to share location in just a couple of seconds, an option to automate location sharing, so users don’t always have to reach for their phones when arriving at school or work. Also, built-in notifications help families communicate and give them a sense of security knowing they can rely on the app for all of their location sharing needs. And finally, by offering circles feature a family location sharing app can become so much more, it can be used as a universal solution and not just a niche app used by close family groups. We, users, demand the best and by incorporating all important features, family location sharing apps can give us the best and we will respond by keep using those apps because by offering us all important features, developers show they care about their users, and that’s the most important feature any family location sharing app can provide.